Before we get going this morning, we mentioned in prayer the Imani Milele Children’s Choir from Uganda that was here on Monday. It was just awesome, it was amazing. Those kids – the organization, Imani Milele means “always believe” in Swahili, because they believe that there are folks like you and me all over the world, specifically this country, who are going to be willing to step up and give them a hand. Life is not easy in Uganda; they don’t have a whole heck of a lot. Have you heard yet that I would like to be a grandfather? Have I ever told you that? Well, it still ain’t happening, so Renée and I decided to take matters into our own hands and we bought one! Now, we decided to sponsor Sauda. She is 15 years old, her favorite subject is English, favorite activity is rope skipping, her favorite color is yellow. She is one of ten children in her family. She loves school; she knows it’s her only way out. She wants to become a teacher but unfortunately her parents are very poor. They are peasant farmers growing crops on a rented piece of land, and there are ten people in her family, so money doesn’t go very far. In countries like Uganda, you don’t go to school unless you can pay the bill, so she goes when they can afford it, and she doesn’t when they cannot. Until the Imani Milele Organization showed up and took her in. They were looking for a sponsor, and that’s now Renée’s and my granddaughter. That’s what I’m going with! She looks just like me. I only mention that because I want us all – Bible says “to whom much is given, much is expected” – and in America, much has been given to us. Children like this, we are expected to take care of. I know there are children all over the world, if you want to look at imanimilele.com and consider sponsoring a child yourself as the Lord leads you. If you want to just help with kids and folks in our community, do so. Respond to that expectation of the Lord. Alright, would you join with me in the unison prayer as we prepare to study the Word of God. Lord, upon the pages of this book is your story. It is also our story. Open our eyes that we may see, our ears that we may hear, our minds that we may understand, and our hearts that they may be transformed. In Jesus’ name, Amen. What did he do? He shared his testimony. We just heard, when you share your testimony, how God can use it powerfully. Coming to church and listening to me is great. Reading your Bible is great. Coming to Bible study is great. But still some people don’t feel confident to share the gospel message. You don’t have to be a pastor. You don’t have to have a degree in theology. You don’t have to quote Scripture. All you need to do is share with someone the difference Christ has made in your life. See, people can argue with this all day long. “What about this and what about that and yada yada yada…” They’re not going to tell you to your face, “You’re a liar! That didn’t happen to you!” Share your testimony. It can have an incredible effect on someone else, as we just heard from South Korea at 4:00 in the morning. If you share your testimony, God can use it powerfully. On the other side of the lake the crowds welcomed Jesus, because they had been waiting for him. Then a man named Jairus, a leader of the local synagogue, came and fell at Jesus’ feet, pleading with him to come home with him. His only daughter, who was about twelve years old, was dying (Luke 8:40-42a). Now we just experienced this morning the news of a young man dying, Winston’s son, Delano’s cousin (actually more like a brother), and we were shocked! But he was in his forties. Can you imagine a twelve year old child? Wouldn’t we do anything to save those we love? Jairus comes out, he falls at Jesus’ feet, and he asks him to come with him. Now, Jairus is a leader in the synagogue. Interestingly enough let me talk about the synagogue here for a minute. You know, nowhere in Scripture does God ever institute the idea of a synagogue. It doesn’t exist. For the better part of a millennium, the Jews did not gather in the synagogue. Such an idea of the synagogue didn’t appear until after the Babylonian exile. See, when King Nebuchadnezzar conquered the Assyrians, took over the northern kingdom of Israel and invaded the southern kingdom of Judah, and eventually conquered Jerusalem, captured the folks in Jerusalem and took them prisoner to Babylon. Some of the people he took was a guy by the name of Daniel – Daniel in the lion’s den. They stayed there for 70 years. Only after they return from Babylon do we all of a sudden see this idea of a synagogue, so it leads us to conclude that the synagogue model was developed in captivity in Babylon. Why? What would be its purpose? You were surrounded by Pagans, a foreign culture, a foreign nation, foreign religion. You want to be able to gather together, as we do, to listen to proper teaching. So the Jews have this system of synagogue to teach doctrine to their people. That’s the point of the synagogue. 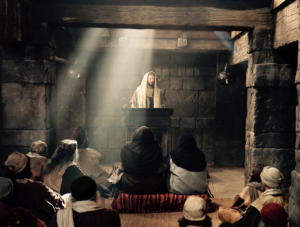 It seemed to be okay with Jesus because he often went into the synagogue to preach and teach himself. Anyway, I mention that, because it’s most likely that position that Jairus holds in the synagogue in Capernaum, which makes this request a little unexpected, wouldn’t you say? I mean, nowhere in the Bible does it say that Jairus was a believer, was a follower of Christ. He was a Jew. He was a president of a synagogue in Capernaum. So you’ve got the leader, the president of a synagogue who is a Jew. Now, Jesus, this wandering rabbi, is being called by many a Messiah. To ascribe to a man divine qualities was blasphemy punishable by death, so the likelihood of a president of a synagogue is going to fraternize with a blasphemous rabbi who people were calling the Messiah was small. And yet, here he is, falling at Jesus’ feet with a very unexpected request. Maybe he had heard Jesus preach before. Maybe word had gotten to him of all the miracles Jesus had performed. Who knows? Maybe he had just heard about the man Legion had just been set free. I’m sure this man had a reputation in the area. Maybe that nudged him a little bit towards the Jesus crew. But nonetheless, the president of a synagogue to ask Jesus for help was a big deal. As Jesus went with him [went with Jairus], he was surrounded by the crowds. A woman in the crowd had suffered for twelve years with constant bleeding, and she could find no cure. Coming up behind Jesus, she touched the fringe of his robe. Immediately, the bleeding stopped (Luke 8:42b-44). Now this is a great miracle story, but I don’t wanna just blow by her issue. I don’t wanna blow by her issue because it was significant in the Jewish mindset. Jewish laws were very specific about bodily discharges. I know that’s kind of gross to talk about – bodily discharges of all kinds – but they were very specific – both men and women – they were very specific about bodily discharges, especially blood. There’s a whole chapter in the Torah about bodily discharges. Leviticus chapter 15 addresses the topic of bodily discharges. For instance, during a woman’s menstrual cycle, she was considered to be spiritually unclean. Not only was she spiritually unclean, anything she sat on became unclean, anything she laid upon became unclean, anything she touched became unclean, including people. Which is why during that time of the month, women weren’t allowed to stay in the house with everybody else. There were little huts out back, and they had to remove themselves from the home, go stay in the hut for seven days until her time was over, and then clean herself up and bring a purification sacrifice offering to the temple. Made clean again, then she could rejoin the family. This is how serious bodily discharges were to the Jews. They were segregated from the family. So, think about this woman. She didn’t just have her menstrual cycle. She had a blood issue that hadn’t stopped, a perpetual blood issue. Twelve years! That’s why she was most likely completely segregated from society, like lepers. She was an outcast, hadn’t experienced human touch, or any sort of meaningful interaction with other people for over a decade. Can you imagine? Shunned for twelve years. Now, my wife will tell you, I do enjoy my alone time. I know it sounds weird, but you would most likely discover amongst pastors – we get to stand up and preach and teach, you’d think we’d like to be the center of attention – most of us do not. Most pastors are introverts, and we like our alone time. I like mine. I admit, I am a bit of a loner in that respect. But that’s by choice! I’m not being treated as someone who has the plague, I’m choosing to be alone. 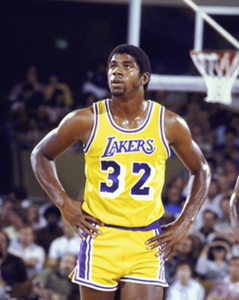 I’m old enough to remember in 1991, when Magic Johnson revealed to the world that he was HIV positive. People freaked out! AIDS was new to us. We weren’t exactly sure how it spread, how you would catch it, or if there was any cure to us. For most people it was a death sentence, like the Black Death plague of the 14th century. There were guys who would not take the basketball court if he was going to be on it. They didn’t know. We fear what we do not know. This woman not only had a medical issue that was not her fault, but she was seen as a danger. She was seen as someone that if she interacted with you could make you spiritually unclean. The people in this crowd, if they had known who this woman was, they would have done something about it. I guarantee you. How do I know this? Because people were so afraid of lepers in the 1st century. Lepers were easy to identify because they were usually wrapped in cloth or fabric of some sort to cover their disfigurement, and they were segregated completely from society. So if people saw a leper approaching their village, they would literally pick up stones and throw it at them to keep them away. That’s how fearful they were of contracting leprosy. If they had known who this woman was, this story could have gone an entirely different way. And she knew that. She knew she was literally risking her life in trying to get to Jesus. What drove her to do it? She did it because she believed with all her heart that Jesus could do what no other physician had been able to do: heal her. She didn’t want to risk exposing herself, but she was convinced that if she could just touch the fringe of his robe, that’s all it would take. 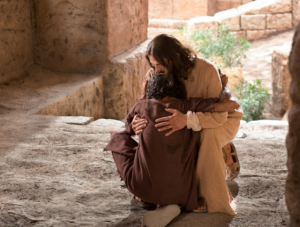 “Who touched me?” Jesus asked (Luke 8:45a). Can you imagine this woman’s panic? I mean, she knew the Torah. I’m sure she was familiar with Leviticus chapter 15, I’m sure people have quoted that to her time and time again. Don’t you think she must have been wondering, have I made Jesus spiritually unclean? What’s going to happen now, are they going to start to pick up stones? It’s a great story, but let me tell you – you should be used to this now – how my mind works. Have you ever wondered, why did Jesus ask the question in the first place? He’s God, right? God is omniscient! He’s all knowing. So Jesus had to know who it was who touched him from the start, right? Yes! He did! So why ask the question? Because Jesus wanted everyone else, number one, to know who it was. That this woman, whom they had rejected, he embraced. That no one was beyond his love and compassion, no matter who they were. Number two, he wanted them to know that faith produces miracles. Not necessarily him, but faith in him is what produces miracles. And what a difference there is between someone who is just curious about Jesus and the few who risk it all to go to him. Too many people today are familiar with who Jesus is intellectually. They can tell you that he was born in a manger. They can tell you the miracles that are attributed to him. They can pick him out of a line up, they know what he looks like. Intellectually they know Jesus. But you don’t see a changed life. You don’t see a transformed heart. That’s what challenged Jordan’s friend. When Jordan said, “Haven’t you seen the difference it’s made in me?” Lots of people know Jesus intellectually, but they don’t KNOW Jesus. Sometimes the most difficult and longest journey any person can take is the twelve inch journey from here to here [brain to heart]. Not everybody takes it. Only faith in Christ releases God’s healing power, so we need to ask ourselves: are we just curious about Jesus? Do we just know him up here, or do we approach him with the faith like this woman. She had no doubt. She had no hesitation. She had no question that Jesus is the Son of God who said, “Come to me, all of you who are weary and carry heavy burdens, and I will give you rest.” That his mercy will bring healing to your body, soul, and spirit. So we need to ask ourselves, we need to check ourselves. Am I just checking him out, or am I sold out for Jesus? This woman was an example. She was an example of faith, and she was an example of the kinds of people that Jesus spent a lot of his time with. That’s why he singled her out too, you know. Jesus especially loves the outcast and the marginalized. Why do you think that is? There’s a number of reasons. Because he wants them to know, he wants to remind us, all of us, that you are never beyond Christ’s mercy, love, grace, and blessing. I’ve heard people say – you probably have too – how they believe they are beyond forgiveness. That because of the things they have done in their lives, they believe they are unforgiveable. That is total sheep dip. I love the story of the two thieves that are on the cross on either side of Jesus when he is being crucified: Dismas and Gestas. Remember Dismas? And I would add, or what we do. Do not let anyone tell you that you are beyond God’s grace. That is simply not true. That is why they call it amazing. 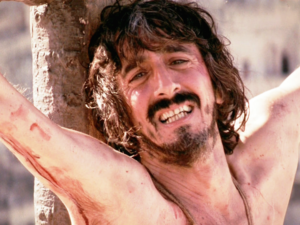 Now another reason Jesus loves to hang out – spend a lot of time – with the outcast and the marginalized is actually more obvious. Because others do not. You see, rejection is a breeding ground for despair, and despair can lead to hopelessness. And Jesus wants the outcast and the marginalized to know – to be certain – that he is the hope of the world. It is exceedingly difficult to have hope when you are overwhelmed by despair. When people reject you, go to great lengths to avoid you, it’s hard to have hope. Thank God that doesn’t happen today, right? Really? We can’t possibly believe that, can we? Do we? Did you notice that our church is in Hartford, Connecticut? Anyone notice that? We’ve been here for 348 years. We cannot seriously be blind to what’s around us. We are surrounded by the outcast and the marginalized. Many people struggling with despair and on the verge of losing hope. For a variety of reasons, some if it their own doing. But do you think Jesus cares about that? Do you think Jesus cares why? No. He does not. These are the people Jesus spends a lot of time with and these are the people Jesus expects us to spend a lot of time with too, because no one else does. It’s our job now. 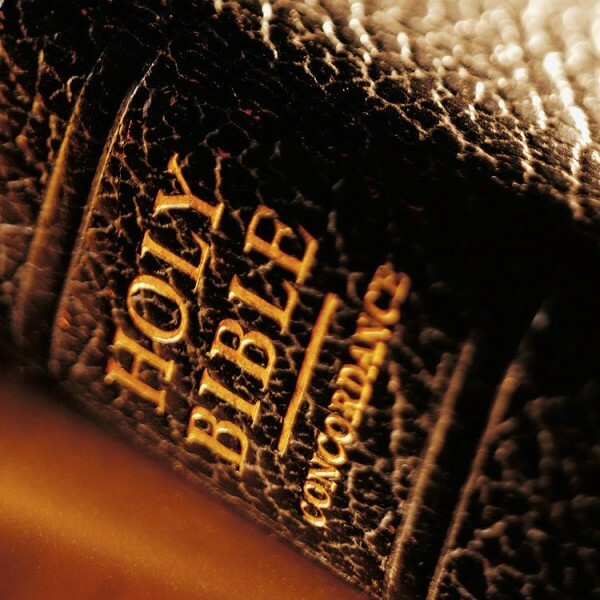 See, the difference between the Bible and a novel is that the Bible is non-fiction. It’s a non-fiction story. In a novel, we often get swept up in a tale of intrigue, and romance, and adventure. You know, along with Friday, we are stranded on that island with Robinson Crusoe. 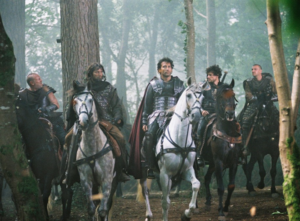 We are holding our sword strapped to our side as we sit atop a horse, ready to protect the weak and defend the virtue of women alongside King Arthur. We, the church, are now the body of Christ, and we are supposed to be spending time with the outcast and the marginalized because others will not. We are supposed to be telling them no one is beyond Christ’s mercy, grace, love, and blessing. That’s our call now, that’s what we do on Saturday mornings at Sparrow. That’s what we should do everyday. That’s what I do everyday someone buzzes that buzzer and I go out to meet with them. I mean, if we have compassion and love for the woman in this story whose name we do not know; for the lepers I tell you about who are having stones tossed at them and chased away 2000 years ago; but we can’t see those right here among us who need our love and our compassion? Then this is a story, but it is not our story. And we are not the body of Christ, or even followers of Christ. That’s why he said, “Who touched me?” He was pointing out that this woman – a pariah as far as this crowd was concerned – and others like her were just as deserving of his mercy, love, grace, and blessing as the president of a synagogue. By the way, whatever happened to Jairus? You have to come out next week to find out. Let’s pray. Father, we are grateful for the testimony of faith of this woman in the crowd. We are thankful for the promise of healing that comes through faith in Christ. And we are humbled by this table that sets before us. In Jesus’ name, amen.